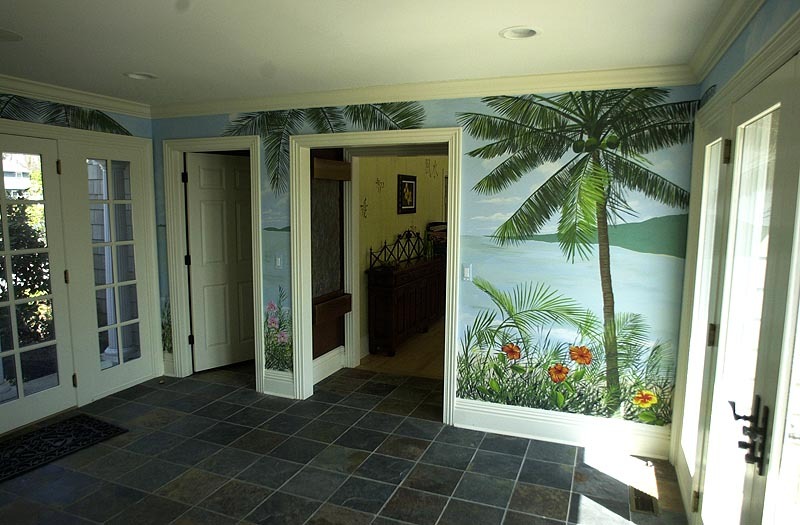 Marlis was asked to paint this breeze way to look like a Caribbean/Tropical get away. The family had traveled to many far off places, including Easter Island where the big stone heads are. So not included on these pages some stone heads were added at a very small scale on the islands shore. We also picked up the colors of the stone floor to match the bark of the palm trees.The birds that you'll see in the details have followed us on many other murals. 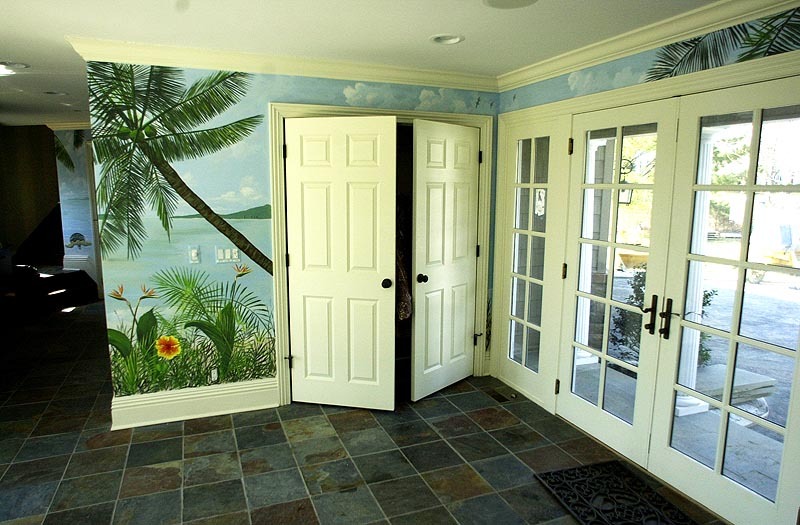 There are 21 of them on our own bathroom ceiling but they first appeared on the Doctor's office, mural 45. To see the rest of the room and details click here.